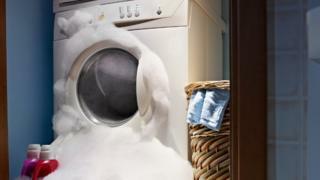 It is frustrating: you buy a new appliance then just after the warranty runs out, it gives up the ghost. You can’t repair it and can’t find anyone else to at a decent price, so it joins the global mountain of junk. You’re forced to buy a replacement, which fuels climate change from the greenhouse gases released in the manufacturing process. How will the Right to Repair happen? European environment ministers have a series of proposals forcing manufacturers to make goods that last longer and are easier to mend. The European proposals refer to lighting, televisions and large home appliances. Plans for the EU Ecodesign Directive are complex and controversial. Manufacturers say the proposed rules on repairability are too strict and will stifle innovation. Consumer campaigners complain the EU Commission has allowed firms to keep control of the repair process by insisting some products are mended by professionals under the control of manufacturers. The European Environmental Bureau (EEB) said: “This restricts the access of independent repairers to spare parts and information – and that limits the scope and affordability of repair services.” The EEB also wants other products like smart phones and printers included in the legislation. Green groups say legislation under way in Europe and the US represents progress towards saving carbon emissions and using resources more wisely. What has driven the changes? The policies have been driven by some arresting statistics. One study showed that between 2004 and 2012, the proportion of major household appliances that died within five years rose from 3.5% to 8.3%. Many lamps sold in Europe come with individual light bulbs that can’t be replaced. So when one bulb packs in, the whole lamp has to be jettisoned. Isn’t it better to scrap an old appliance and buy a more efficient one? This is no simple question. Resource analysts say, as a rule of thumb, if your current appliance is old and has a very low energy efficiency rating, it can sometimes be better in terms of lifetime CO2 emissions to replace it with a new model rated A or AA. In most other cases it produces fewer emissions sticking with the old model. There’s another debate about how readily consumers should be allowed to mend appliances. The Right to Repair movement wants products that can be fully disassembled and repaired with spare parts and advice supplied by the manufacturer. Some manufacturers fear that bungling DIY repairers will damage the machines they’re trying to fix, and potentially render them dangerous. One industry group, Digital Europe, said: “We understand the political ambition to integrate strict energy and resource efficiency aspects in Ecodesign, but we are concerned that some requirements are either unrealistic or provide no added value. Will UK have to stick to the new standards after Brexit? The British government has welcomed the new rules and will almost certainly need to replicate them if UK firms are to export to Europe. Environment Minister Thérèse Coffey told BBC News resource efficiency was “key to improving our productivity and making best use of precious resources”. This is a very different tone from the one adopted by critics of the EU’s previous initiatives on energy efficiency. There were warnings that forcing vacuum cleaners to use less power would leave Britain’s floors dirty. It transpired that the rules had forced manufacturers to make new cleaners that cleaned equally well – but using less power, thanks to better floorhead design.